BT has announced that it will be restoring Food Network and adding Travel Channel to Vision+ boxes from the 23rd September 2013 and moving Sky Sports 1 and 2 to channels 501 and 502 from tomorrow. Although BT TV includes Freeview channels, Food Network and Travel Channel have been denied to Vision+ box owners because BT continued to assign channels 41 and 42 to Sky Sports 1 and 2 despite now being internet delivered services. Since last month, this has created a clash between BT TV and Freeview channel numbers. 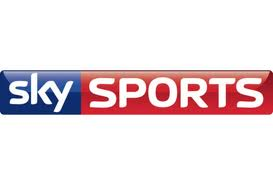 BT is now moving Sky Sports 1 and 2 from channels 41 and 42 to channels 501 and 502 - out of the channel range designated for terrestrial TV services and into the range kept free by Digital UK for IPTV providers such as BT. This means channels 41 and 42 on Vision+ boxes will be switched to the Freeview service via the TV aerial and show Food Network and Travel Channel from 23rd September. Channels 501 and 502 are incidentally the channels reserved for Sky Sports 1 and 2 on YouView and would be where BT YouView viewers would see the service, if it wasn't for an ongoing dispute between the pay TV giants. BT is forced to offer Sky Sports 1 and 2 solely via its older Vision+ boxes . BT began to harmonise its Vision+ channel numbers with its YouView channel allocations earlier this year, when it moved BT Sport from channel 943/4 to 507/8 (HD 510/11).